How would you like to spend the night before your flight in complete relaxation? Impossible when you have so much to plan, right? Well, why not check into a Newcastle Airport hotel instead? This is the best way to start off your holiday, especially if you are flying at an awkward time. We make it easy! You have so many different hotels to choose from with UKACP. Pop your details into the search box and we will show you all of the suitable hotels. Each hotel is presented with a summary of the most important details. You can order your results based on price, star rating and other aspects. This takes the hassle out of your search. If there is one thing we love at UKACP it is a good bargain. You will save a chunk of money when pre-booking through our website. 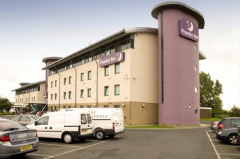 Do you want to book a Newcastle Airport hotel with parking? No problem. We’ve got it covered! We even have airport lounge deals available amongst other extras which you can book at the same time. Twelve miles away from the airport you will find the Village Hotel and Leisure Club. It may not be the closest hotel, but it makes up for it in other departments. Board your flight feeling fresh and revitalised thanks to this relaxing and luxurious hotel. Go on… treat yourself, you know you want to. The Holiday Inn is an excellent choice for anyone with children. There is plenty of keep them entertained, including 16 acres of ground, a swimming pool, sauna, children’s TV channels and a games room. There's even wif throughout the hotel. The hotel is basically designed all around kids, even in the restaurant under-12s even eat for free! This has to make this hotel a big plus for families going on holiday. Holiday Inn also boasts the convenience factor. Regular bus transfers are available 24-hours a day and they only take about two minutes. 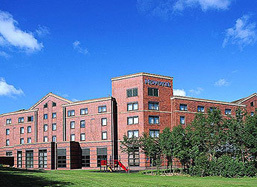 Novotel also offer a 24 hour transfer service. 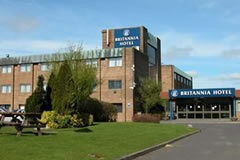 Although the Britannia Hotel goes one step further and is only a short walk away from the terminal. It is also a recommended option for disabled guests, featuring rooms with emergency pull cords, grab rails in the en suite and a lowered bathtub. 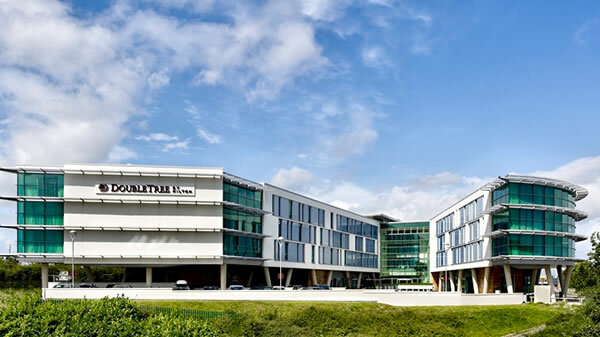 Don't forget that if you decide not to stay in a hotel the night before you fly you can still save money on our Newcastle airport parking packages. We will always save you anything from 15 to 60% compared to the car park gate price.